This list is adapted from suggested reading in the US Dept. of Education’s Cemrel program, which I went through and my mother and grandmother taught back in the late 20th Century. Cemrel taught math through reading, songs, word problems, manipulatives and real-world application. You can get Cemrel teaching materials here in PDF form for as long as they stay there. As the books below are at least 20 years old (that makes ME vintage, doesn’t it? ), I suggest ordering them from your local library’s website if you can. Some of the books repeat year to year but I have kept the lists separated by age group. Note: I did say they are at least 20 years old. That means some of them are time-tested classics but others may have social implications that are no longer mainstream. There are a few here my son won’t be reading and others I may use for discussions in cultural or gender bias. We’ve already discussed how the monkeys could have been nicer to Cecily G…. How Many Snails? 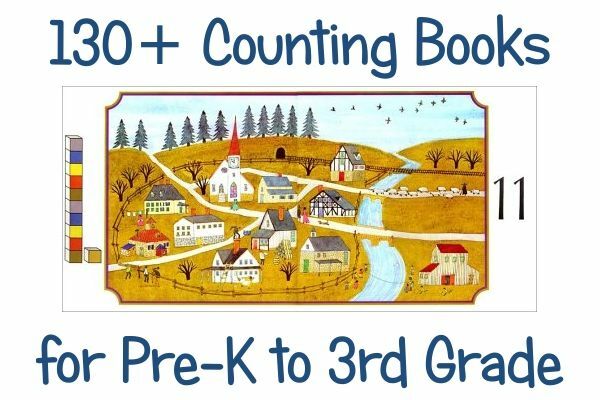 : A Counting Book by Paul Giganti, Jr.